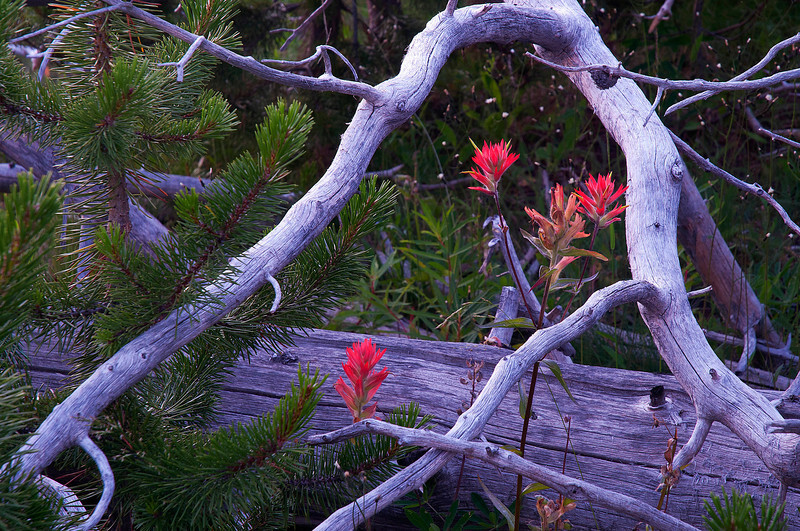 Indian Paintbrush In Old Tree Snag. Deer Park campground. 5,400 ft in Olympic National Park.